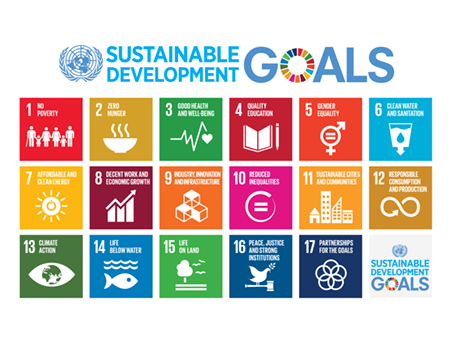 The Sustainable Development Goals (SDGs) and the 2030 Agenda for Sustainable Development are at the centre of a global cooperative effort to lift nations and communities out of extreme poverty. With our developing country partners, we aim to use sustainable natural resource management and governance as a driver to help achieve the SDGs. Canadians have significant expertise in the development, management and governance of natural resources. By sharing this knowledge can help achieve the Sustainable Development Goals. We have integrated SDG targets and indicators into the performance measurement frameworks of all our projects with a particular focus on the following ten SDGs. Through global partnerships to improve resource governance (SDG 17), CIRDI aims to reduce poverty (SDG 1) by creating enabling conditions for inclusive and sustainable economic growth (SDG 8). Our projects are designed to deliver development outcomes that strengthen institutions (SDG 16), protect forests, biodiversity (SDG 15), and water resources (SDG 6), while advancing climate action (SDG 13) through innovative solutions (SDG 9). CIRDI is committed to advancing gender equality and the empowerment of women and girls (SDG 5) and ensuring equitable and quality educational opportunities for governments, communities and indigenous peoples (SDG 4). Visit our project pages to see how each of our projects contributes to the SDGs, and read our guidance document, CIRDI and the UN Sustainable Development Goals, for further details on how 12 of our recent projects align to the SDGs.